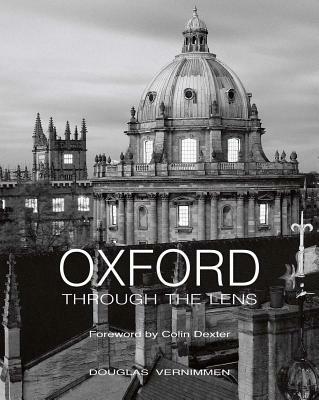 This fantastic collection of Douglas Vernimmen's photographs illustrates the magnificent city of Oxford at its best Vernimmen has received over 150 international awards and has been featured in 60 international exhibitions Foreword written by crime writer Colin Dexter, famous for his Inspector Morse novelsVenice is for gondolas, New York for taxis, Oxford for bicycles - and pedestrians. Oxford is a place to be taken slowly. This is a city which has survived untouched for the best part of a thousand years. And there has been a university here for nearly as long. And yet it never grows old: it renews itself each autumn with a fresh infusion of youth. Look at it closely, and ponder its secret. A familiar sense of history may well be your first instinct as you consider these fascinating pages; your second, a realization of the originality of the images, the pictures, the representations of the photographs: perspective, balance, light and shade, above all insight into the very heart of Oxford. The soul of things: street names, bicycles, the Thames, college libraries and dining halls. Oxford is one of the great universities of the world. It has been in existence for the better part of 800 years. Its history is to be found in the colleges, in the faculties and in the departments, in the magnificent collections held in its libraries and museums, in its time-honored traditions and ceremonies, and in the magnificent architecture of its buildings set in and around the center of the city. A diverse selection of images offer an understanding of how the university works: the people, the staff, the students and academics, a view of the university from the inside. The photographs selected here catch something of its double identity; something too of the daily life of the place so many lectures, so much laughter lived out routinely, oblivious very often of all the history. The city aside from the university is here too. So many images, so many perspectives, captured here, in lucid photographic language: winter's mornings, before the snow has started to melt; the river hosting one of the university's most popular sports, as well as leisurely punting. The floods of summer 2007 when the river extended its reach. Dawn on May Morning, when crowds have gathered together on Magdalen Bridge to listen to the choristers singing from the top of Magdalen College tower before jumping into the River Cherwell from the bridge The city celebrates with funfairs and spectacles. Douglas Vernimmen's magnificent portfolio of photographs is his unique, early twenty-first century, pictorial interpretation of an extraordinary city.